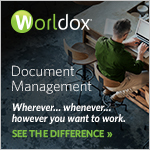 RBRO Solutions Inc., a leading global business solutions provider, announced the highly anticipated release of the new Link2DMS 6.0, as part of its ongoing commitment to provide market-leading solutions and integration tools to enable organizations to realize the full potential of the iManage Work document management system (DMS). Link2DMS is a powerful and easy to use software tool that enables users to save and open documents created with non-natively integrated applications directly within iManage Work. 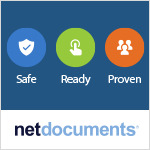 Among its other capabilities, it enables users to e-file documents securely and efficiently, directly from the DMS, and incorporates powerful tools to convert documents to PDF using popular PDF writing tools. Version 6.0 features a new user experience, enabling administration from anywhere, from any device. Now iManage Work 10 Optimized, it also offers centralized administration with the iManage Control Centre. “Link2DMS underscores our commitment to making iManage ubiquitous and our ability to continue delivering value to iManage customers who welcome the fresh experience of iManage Work 10,” said Howard Russell, CEO and president, RBRO Solutions. Link2DMS enables users to function seamlessly within the iManage Work environment, increasing productivity, improving content compliance and painlessly elevating data governance. Discover the evolved Link2DMS 6.0.